VCLA(Video Collective Los Angeles) returns with a program of rarely seen or unseen and/or completely unavailable short films. From meditative, textural experiments to re-edited videos to unusual narratives to complete absurdism, the viewer's expectations will typically have very little to do with the outcome of any of the shorts in this program––or this program as a whole. Bell is a lonely, twenty-something guy living in Shanghai. One day, wandering around in a run-down underpath, he sees a pair of bright red heels passing by. The color stimulates something deep in his heart. Out of curiosity, he follows its owner across the city and ends up in an old club where he discovers a forbidden community and realizes his hidden desires. Seventeen years after giving its Oscar winning performance, the plastic bag from American Beauty1 lives on and has received a sponsorship from Rite Aid... but not everyone respects its autonomy and lifestyle choices. Up is down, and inside turns out: Who are these men that embody and fuel our collective existential upheaval? Are they heroes, anti-heroes, villains? Or something else altogether? This award-winning experimental work, created by intermixing original cinematography and archival film along with contemporary found footage, draws viewers into these questions. I Love You uses re-photography to create several generations of the same short clip, reducing a cultural artifact into an abstraction of sound and image. A man and a woman live in separate worlds. Both of their lives revolve around carrots. The man harvests the carrots; the woman cooks them. The man wants to go home to his woman but first he has to collect 3 million carrots. Bigfoot is captured in the jungle and dropped in the city. There he meets a woman, and Little Bigfoot is born. He's a furry boy, different from all the other children, and he doesn't fit in. He sets off in search of his father and the forest. A stop motion animated music video about street harassment, catcalling, and how much it blows. On the verge of becoming a woman, Sora is woken by a nightmare and decides to follow a group of men into the city in the hope of finding her mom. Mum's calling, and Lisa isn't pleased. "Hi, It's Your Mother" is a shocking tragi-comedic stop motion short about family ties and blood. 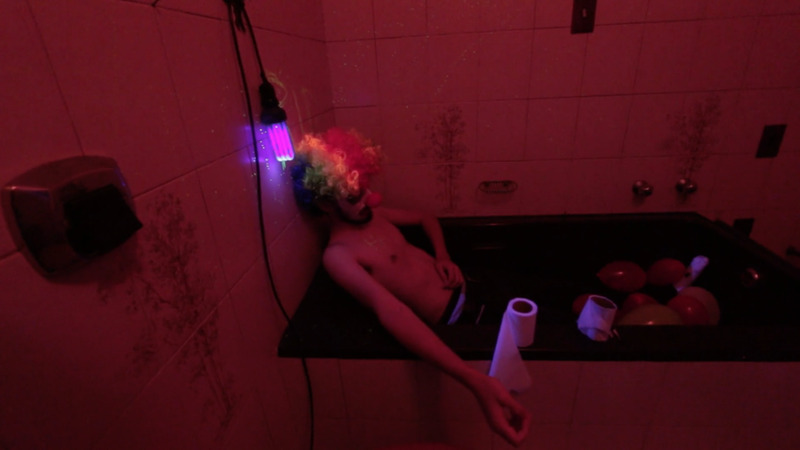 Equal parts documentary and fiction, Gunge Buddies is an experimental short that explores what happens when a group of friends from an online community get together for the first time to participate in one of the most innocuously beautiful and messy fetishes around: gunging. A young nurse grows obsessed with a locked door in the ward where she works as a revolution unfolds beyond the hospital walls in 1979 Iran. Original musicc by Patrick Benke, Ben Finley and Jared Rodriguez performed by members of the Desert Quill Quartet, which is an innovative collective of performer-composers with a unique sonic spread and new repertoire to enliven chamber music. Brendan Eder Ensemble blends the sounds and rhythms of classical, electronic music, experimental rock, lounge-exotica, folk, hip-hop, and jazz. The ensemble performs original compositions and arrangements for flute, clarinets, alto sax, bassoon, electric bass, and drum set. Arrangements include works by Monster Rally, Ravel, Stravinsky, Satie, and Tchaikovsky.